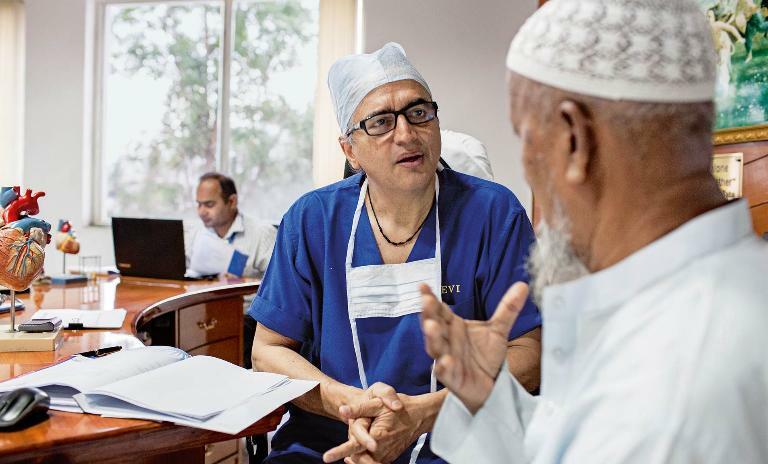 Devi Shetty's radical approach to handling heart operations is revolutionizing health care in India by scaling up resources and bringing down costs dramatically. His ideas are at the cutting edge of surgery and show how complex and expensive procedures can be reduced to manageable and affordable tasks. "Medical innovations don't have to be on equipment, but on processes." Operating theatre one in Narayana Health (NH), Bengaluru, India, is an oasis of calm. Madonna's song "Don't Tell Me" is playing through the speakers. The anesthetist softly hums along as she stands at the head of the patient – Debashish Saha (not his real name), male, 50 years old – watching his vitals. A couple of junior doctors stand over him and two nurses wordlessly hand them scalpels and sutures. A perfusionist and her assistant sit by the heart-lung machine, keeping an eye on blood circulation. Two technicians record medical and clinical stocks being used. Over a couple of hours, with easy, experienced precision, the team opens Saha's skin and sternum, exposing his pink, beating heart underneath. It is time for the crucial part of this four-hour surgery, the "unroofing" of an anomalous right coronary artery – which means attaching the errant artery from the left to the right collection of veins. This will be done by the cardio specialist. A hands-on approach: Shetty interacts with patients and performs at least one surgery every day. 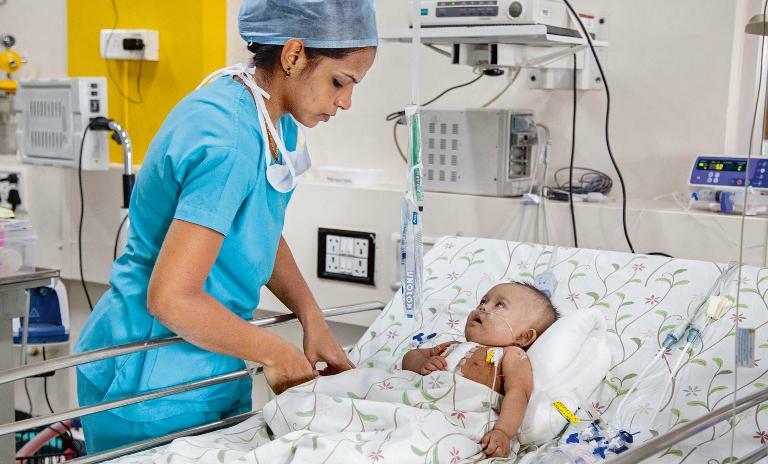 Mending hearts: Narayana Health's pediatric cardiac ward is one of the world's busiest. Hubs and spokes: Patients are diagnosed and treated at local "spokes" where possible, traveling to "hub" facilities only when necessary. In walks Devi Shetty, cardiac surgeon, global pioneer in low-cost health care and a veritable messiah to many. As Shetty, the founder of NH, enters the theater, the anesthetist quickly changes the music from 90s pop to Bollywood ballads, as is his preference. In his mid-sixties, the doctor is in blue scrubs and a blue surgical cap, both of which he's rarely seen out of, even in the hundreds of media portraits he's done since he established NH in 2001. His face is tranquil, his hand steady: The perfect stillness that he exhibits in the operating theater is the result of 30 years of practice. The junior doctor opposite him – on this day, his youngest son, Varun Shetty – briefs him quickly, the O anesthetist reads out the vitals and the operating theater nurse hands him a scalpel. They work in silence, with Shetty occasionally cracking a joke, or asking a stern question. After an hour, his job successfully done, he steps back. The junior doctors close up Saha's chest. Now that his congenital disorder is fixed, he will no longer have to live with the fear of sudden cardiac arrest. 60% of all health care expenses are paid by Indians out of their own pockets, despite an average per capita income of $1,500. Shetty washes up and goes to an office bathed with natural light. There is not a moment to pause. He has to meet a stream of visitors who come pouring in all day. They are government representatives, medical partners from Japan, Africa, Dubai and Bangladesh, techies from the US, researchers and local suppliers. But the most important visitors are poor patients, some worried, some with questions, some simply grateful. 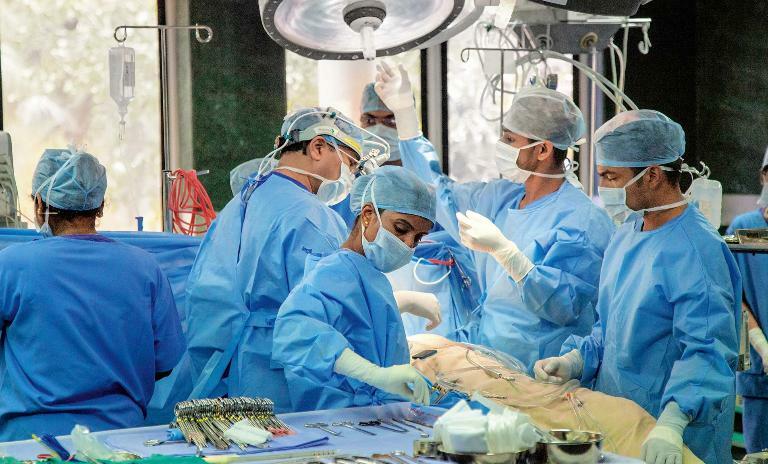 "I am happiest in the operating theater, just being a cardiac surgeon," Shetty says. Despite his hands-on style managing 24 hospitals, he makes sure he does at least one surgery a day when at the NH campus (the parent hospital). "But that's not enough. What's the use of brilliant surgeries when more than half of our patients can't afford it? In most countries, doctors just do what's best for the patient, but in India, we have to have a keen sense of how a treatment plan or surgery will impoverish the patient's family." Despite robust economic growth over the past two decades, the per capita income in India is only $1,500 a year and patients typically have to pay 60% of health care expenses out of their own pockets. Indians are genetically three times more vulnerable to heart attacks compared to Caucasians. Yet, of the two million Indians in need of heart surgery, fewer than 5% get it due to lack of access and prohibitive medical costs. India's infant mortality rate is three times higher than China's and seven times greater than that of the US. Surgeries are done each week per NH surgeon, twice the average of other Indian hospitals. Efficiency is optimized with surgeons moving from one operating table to the next with an assembly line precision. Doctors are employed by NH, in addition to 469 student doctors. are the cost of cardiac surgery: Devi Shetty says about half of NH patients get discounts on their surgery and about half of that number are treated free of charge. Of all inventory purchases, including some of the surgical instruments here, are centralized, cutting costs by 15% to 40%. Expenditure on medical consumables, drugs and surgical equipment is 23.2% of total costs. Bulk buying with sister hospitals across the country drives prices down. Nurses, paramedics and administrative staff work at NH. Additionally, “care companions” serve as patient caregivers and are trained in basic nursing care. They relieve nurses of routine tasks, thus saving nurses’ time and helping to reduce costs. Heart surgeries were performed each day in all NH hospitals over the period of 2016–2017 In the same period 14 heart transplant operations performed. Cost reduction achieved for sutures and catheters by developing a manufacturer for the products. Costs for scrubs and other materials cut by standardization and working with Indian manufacturers. NH cites its success rate as being mostly lower or at least comparable with hospitals in the US. Doctors perform approximately 30 surgeries a week, double the average doctors in other major Indian hospitals do. The magnitude of the problem became clear to Shetty when he worked in Kolkata upon his return from studying in England in 1989. Although he saw over 100 patients every day, few turned up for surgeries. A bypass surgery would cost about 150,000 Indian rupees, or around $7,500 at the time. He realized that the cost of care had to decrease for patients to be able to access it. At the same time, he also witnessed Mother Teresa's Missionaries of Charity helping the poor and sick with next to no funds. He had operated on her after she had a heart attack, and subsequently served as her personal physician in the last five years of her life. He has often talked about how her simple approach to complex problems inspired him. "Real health care is not about heart surgeries, it is about heart: Never having to send a terminally ill child home because his mother can't afford [a surgery]," says Shetty. "But having a heart doesn't mean charity, which is not scalable. 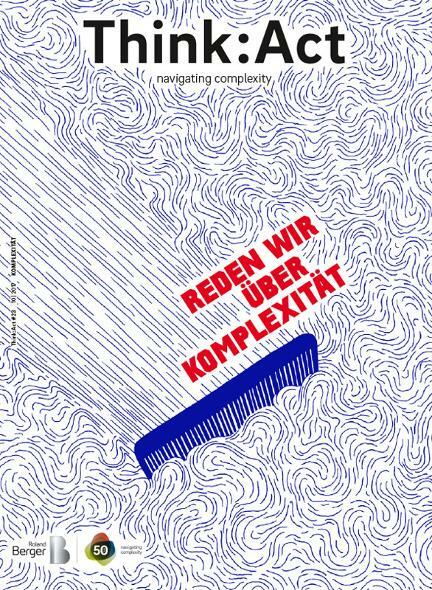 It means frugality, data management and procedural innovation." In 2001, he established NH, then called Narayana Hrudayalaya, in Bengaluru. It provided excellent treatment within a low-cost setup. Today, coronary bypass surgery costs $106,385 in the US, while at NH it costs about $5,500. NH has since expanded across the country with clear processes in place to achieve its primary goal of providing affordable health care to all. Its model has impressed many. Management guru C.K. Prahalad singled out NH as a case study for his book "The Fortune at the Bottom of the Pyramid" and the model is also used as a case study at Harvard Business School. After 15 years in business, in December 2015, NH went public and raised $952 million. Vijay Govindarajan, a renowned management thinker, professor at Tuck School of Business and the man behind the "reverse innovation" concept, has studied NH's innovations closely. He says that the hospital has taken radical steps in implementing many well-defined industrial concepts in health care, such as standardization, specialization of labor, economies of scale and assembly line production. 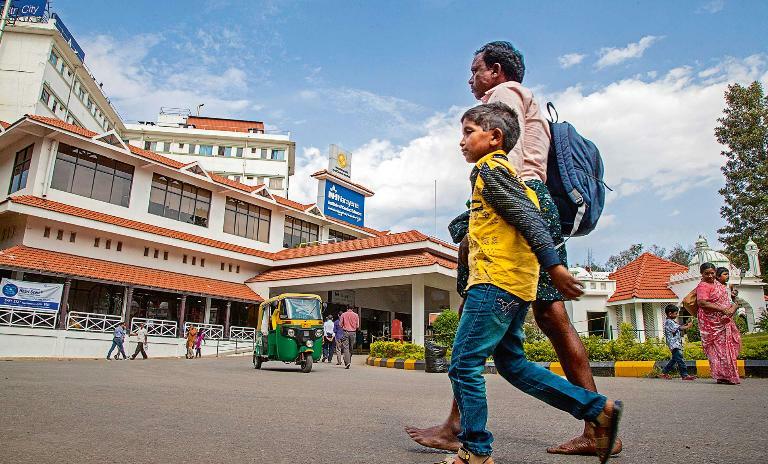 "But since it deals with human life, quality is equally important, and NH has shown itself to be on par with the world's most reputed hospitals," says Govindarajan. One measure of quality is the mortality rate 30 days after surgery. At NH, even despite India's tropical air, pollution and hygiene conditions, it is 1.3% – below the average rate from a 143 sample of Texas hospitals. NH relentlessly strives to lower the cost of treatment so that it never has to turn away a patient in need – over half of NH's patients come from economically weaker backgrounds. But its reputation for high quality also attracts affluent patients. It has the capacity to perform about 60 surgeries a day (it did 34 a day this financial year) and adopts a hybrid pricing model. In other words, it uses the surplus from these paying patients to subsidize surgeries for those who cannot afford the full cost. The dual pressure of meeting global quality standards for every patient and lowering costs drastically for the poor has led, remarkably, to an overall drop in spending. Such a business model can scale, explains Govindarajan, because it allows the overall enterprise to be profitable. Bulk purchase of locally produced products, like this antiseptic alcohol hand rub, enable NH to reduce its daily expenses. But how exactly does NH cut spending and keep quality levels high? Three drivers sustain this hybrid model. 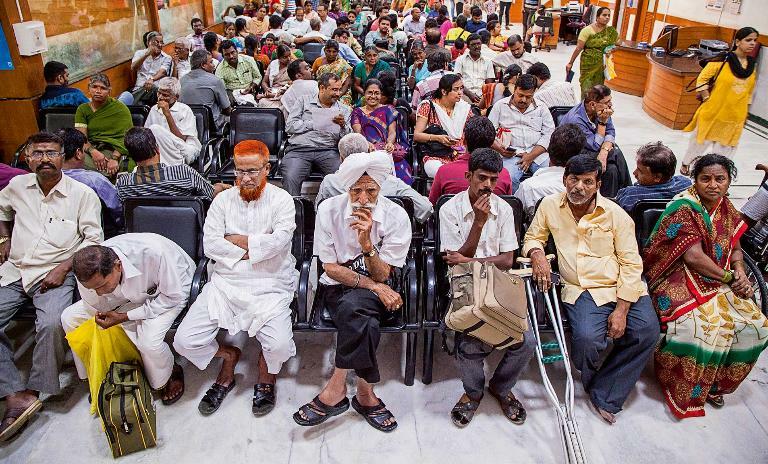 The first is the very thing that frustrates health care providers about India: high volumes. In just 16 years, NH has grown rapidly from one hospital with 280 beds to running 24 hospitals and seven heart centers across 31 cities and towns in India – a total of 5,600 operational beds. Today there are around 180 doctors across more than 40 specialties, 238 student doctors and 12 visiting consultants in the Bengaluru facility NH Health City alone. NH uses economies of scale to dramatically reduce costs, and therefore the patients' bills. It sends clinics on wheels to rural areas, screening people for ailments and bringing them to the hospital for surgery. It has set up cardiac care units in small towns with basic facilities like diagnostic centers and EKG machines and it provides sparse primary health care in government hospitals. It has also entered into agreements with three state governments to treat impoverished patients who hold state insurance: The state reimburses a large part of NH's costs. 22% of NH's revenue is spent on salaries, nearly one-third of the average spent by Western hospitals. Only people who need surgeries are referred to the Bengaluru hospital. "We rationalize fixed costs like salaries, equipment and building or rent by incurring them only in places they will be most efficient," says NH Senior Vice President of Strategy and Planning Viren Shetty. "We don't believe in making costly, large, multispecialty hospitals in every place." Govindarajan calls this the "hub and spoke model" – hundreds of thousands of spokes treat patients close to home, while NH invests on high-tech equipment and experienced specialists – both expensive – only in a handful of hubs. A dominant player in cardiovascular services, it performed 14,700 surgeries and 54,000 cardiology procedures over the 2016 financial year. Delivering the basics: Clean, "no-frills" waiting rooms demonstrate NH's frugal approach. 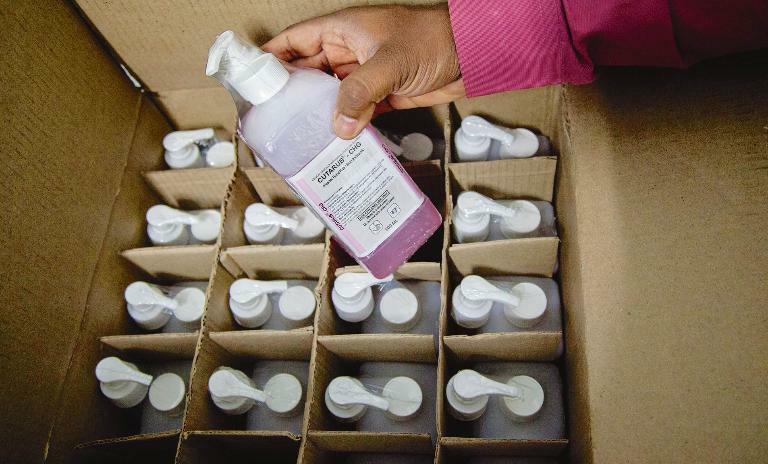 Bulk purchases of locally produced products, like this antiseptic alcohol hand rub, enable NH to reduce its daily expenses. The success of the model can be seen at the Bengaluru hospital. In its pediatric cardiac ward – one of the busiest in the world with 4,500 surgeries last year – six-year-old Chandru plays near his bed. A tribal child from a village in Raichur, Karnataka, Chandru had an ASD closure (mending a hole in the heart) a month ago, and has returned to have his sternal wire removed. The procedures would have cost $3,500, but his grandmother paid nothing but the bus fare to the hospital. The Karnataka government's medical insurance – which Shetty helped develop in 2002 – paid for the surgery and NH waived the wire removal. Further down on the same floor, Farooq Mustafa, an investment banker from Dubai, is signing discharge papers for his five-year-old daughter Noor. She had the same ASD procedure and now sits in her plush deluxe room with her mother, cheerfully drawing a picture for a thrilled nurse. According to the tiered pricing, Mustafa is paying full price. "At least five friends recommended NH to me," he says. "Every day I was here, I saw how many people these doctors treated, how experienced and driven they were." The second cost driver has been task shifting. Harvard Business School Professor Tarun Khanna, co-author of Winning in Emerging Markets, explains that NH takes "a production line approach" to health care. "By streamlining the systems and processes of the hospital and clearly defining protocols, they lower both costs and errors," he says. Open-heart surgery involves six steps – prepare the patient, open the chest, harvest a vein from the leg or arm to the heart, divert blood to the graft, close the chest and move the patient from the OT to the Intensive Care Unit. "In the US and Europe, the cardiac surgeon does all the steps," explains Govindarajan. "At NH, the senior surgeon comes only in the fourth step, leaving him free to do more surgeries per day." Protocols are not clinical alone, but also about how a patient is received, transferred and billed, and how medicines, surgical tools and equipment are bought, used and disposed of. When these systems are followed, patients go home faster and comparatively less material is required. The hospital has also been investing in technological innovations in collaboration with American universities and software developers. 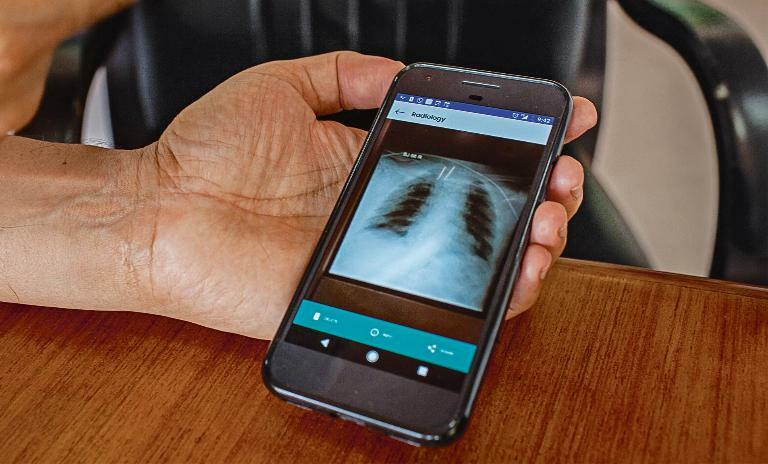 "Medical innovations don't have to be on equipment, but on processes," says Shetty, opening a trial app NH is creating called HealthFile, which has scans of his patients' EKGs, X-rays and other records. "Why should a patient come all the way here to do tests when he can do it in a lab in the village and send me a scan? The fewer unnecessary footfalls I have, the more I save, for me and the patient." Only the payment gateway – a system for the patient to pay the doctor he consulted online – has yet to be implemented. Proving innovation also lies in the process, NH is developing an app called HealthFile to keep patient records in one place, send scans from village labs and lower operational costs even further. The third driver for cost-cutting in NH is good old frugality and financial discipline. The foyer at the NH in Bengaluru is minimalist, the wards and waiting rooms are clean and without embellishment and, except where medical equipment is used, natural ventilation replaces air-conditioning. NH monitors and measures cost regularly. Its ERP is implemented on cloud, providing real-time information and accessible remotely even at its small town clinics. Senior consultants and doctors get an email and text by noon every day with the previous day's revenue, expenses and estimated EBITDA margins. This not only tunes all employees into NH's goal of frugality, but also helps doctors consider the cost component when they schedule their surgeries. Shalini Rajesh, a diabetologist who has worked at NH since its inception, says: "All of us must be on the same page, work in the same direction... As doctors, our decisions are based on medical parameters, but the financial SMS habituates us to balance free and paid surgeries, or just be conscious of the size of our responsibility. It reminds us that everyone can contribute." Frugality is common in Indian hospitals, says Tarun Khanna, "but NH has more practice doing it, simplifying complex things by trying fresh iterations." For instance, it utilizes personnel and medical equipment far more efficiently than most. While hospitals in the West spend about 60% of their revenues on salaries, Shetty says NH spends only 22%. "This doesn't mean our doctors and staff are poorly paid, but that they work 12–16 hours, longer than most, performing more procedures," says Shetty. NH doctors perform approximately 30 surgeries a week, double the average doctors in other major Indian hospitals do. Instead of being paid per surgery, they are paid a fixed salary to maximize productivity. Khanna writes in the Harvard Business School case study on NH that very early on, instead of doing chest X-rays with film that required processing, the hospital cut the recurrent cost through digital X-rays. "Hospitals in America, Singapore, Malaysia and Thailand have ICUs for individual patients, each served by one or even three senior nurses," says Viren Shetty. "In NH, most ICUs hold more patients, and we distribute the same experienced nurses across many, using supervision, protocol and inspection to control errors." NH does not buy all its equipment, and rather leases some on a pay per- use basis to keep capital costs low. They are maintained well to extend their life. Ultrasound machines, for instance, cost between $20,000 and $75,000. NH scans 200 times more than an average American hospital, and 100 times more than Indian ones, reducing the unit cost of each scan. Some frugal ideas, of course, don't work out. For example, it tried to have zero inventory: Instead of storing consumables, it got suppliers to deliver them just in time. Quality suffered. So instead, NH set up an in-house central buying unit and standardized purchases. "Being innovative means to accept failures and take corrective measures," says Viren Shetty. The central unit makes 80% of all purchases, cutting inventory costs by 15% to 40%. Back in his office, Devi Shetty points behind him to refer to his neighbor, Electronic City, the hub of India's IT revolution. "We think India's potential is there," he says. "But it is here. It is in health care. The world's best health care innovations will be from India, not the US or Europe. What I have done is just a beginning."